The Internet has become an integral part of all our lives. It is the fastest growing technology in the world and no wonder everyone wants to be associated in some way but when it comes to starting a business online, it gets a but intimidating to most people because of the lack of the technical knowledge and skills. This is the best part of this business that you don’t necessarily have to be a web developer, web designer or any other online technician. All you need is a good online business plan. Whether you are looking to start new online business or wanting to take your existing business online, it’s easy to setup and you will be up and running in no time. How is online business different from other business? Easy to setup: Online business is one of the easiest businesses to start without any fuss and with everything setup you can start making money from the first day (considering the nature of the business). No technical skills required: You need not be a developer or a designer to get you online business started. If you have a basic knowledge of HTML and CSS, it will do. There are so many readymade website scripts and templates available that you won’t have to do any programming to get your site up and running. Many web hosting companies provide one click installation for such scripts, which has literally eliminated the technical issue. Global audience: The reach of your website is not limited to local areas, anyone from anywhere in the world can access a website if he has internet accessibility. This is such a big advantage in internet business, because companies spend lots of money to reach masses around the world to promote their product/business. Passive income source: It is one of the most popular sources to generate passive income. 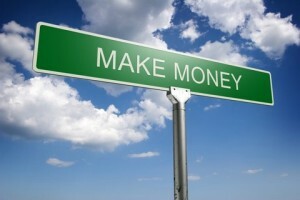 The initial investment of time, money and hard work pays off in form of passive income. All you need to do is just keep your blog or website updated from time to time and it will keep making money for you even when you are fishing, holidaying or hanging out with buddies. There are endless opportunities on internet but here we will discuss about some of the most popular forms of online businesses. Blogging: It is most popular amongst youngsters because blog is easy to start and manage. You don’t need any team to run a blog. A single person can run multiple blogs on his own without any fuss. A blog is easy to setup, as many web hosting companies provide blogging platform scripts, which you can install with one single click, upload a template and you are ready to go with your blog. Before you start you blog you have to choose a niche on which you want to write on your blog. Just ask yourself that what are you good at and what you would like to share with other through your blog. Share your experiences and knowledge with others through your blog posts. You can signup with any advertising publishing company and display their ads on your blog to make money. Affiliate marketing: Whenever you refer someone to a product/service you get a certain percentage or a fixed amount of commission based on that sale, this is how affiliate marketing works. You can refer people products or services through your blog or website and earn commission on the basis of your referrals. There are many companies which offer affiliate programs for publishers but it is recommended to only signup with reliable companies only, such as Amazon, Clickbank, Commision Junction, Click share, Affiliate fuel, CafePress etc. To find out if a company is reliable or not just Google the companies name and see how many results appear, now look for reviews about the company and you can make out from the review whether to signup or not. E-commerce business: If you are planning to start an online e-commerce business then you surely need a perfect plan as it is the toughest business to sustain online. Whether you are starting a product selling website or a B2B platform you will have to put in all you have to make it a hit. The e-commerce market is still growing and it is that in few years people will be doing most of their shopping through online markets. The core of a great business is an idea. You need to have clear thoughts in your mind about what you want to do online to make living for yourself because out of thousands who start online business only few make it to bigger pool. You can do all of these business at the same time but it’s better to focus on one business first. The domain name that you select for your business should describe your business. Don’t use very long domain name which is hard to remember. If you have started a blog on Blogger, Tumblr, WordPress.com etc. you will certainly get a domain which is something like Mydomain.blogspot.com, mydomain.tymblr.com, mydomain.wordpress.com, now if you think what’s wrong with this domain and your friends are also using these sub domains for blogging purpose then you are not doing it right. If you are seriously looking to make money from blogging then you need to spend that $10 to get a custom domain at least. I’m sure you are not going to migrate your website from one server to another. So, it’s very important to host your websites with a reliable hosting company which offers you 99% uptime and has good customer care support. There are lots of ways to get a free webhosting but it’s recommended to purchase a hosting instead of going for free webhosting as they are never reliable and you will never get looked after as that of premium customers. You might also have to compromise with the server uptime, which is very low in free hosting. To save few bucks on your hosting you will actually be losing lots of potential business which you will realize later. Having a website designed will not give you any money until you promote you website to generate some business and money for you. You can promote you business through paid advertising, SEO (search engine optimization), social media marketing, Directory submission and more. If your budget allows then go full fledged with all the marketing ways for your website. Build network with people in likewise community and promote your business with their help and remember you will have to return the favor as well. Follow the process correctly and you should have a prospering online business soon. Nice content is there in your blog. i used to bookmark and used visit your blog very often. Nice and easy to read post. Great point that if you plan on making money you need a domain name. Bloggers often come to us for a domain name because they are looking for something more unique and inventive rather than just ‘creative blog’ being the title. Great read, look forward to reading more. I’m new to blogging and still exploring my way to learn more about starting my own online business. I really loved the article, the information you have included in your blog post, it’s a compete guide to starting an online business. You have done complete justice with the article. No doubt you have a very clear mind regarding online business and making money. I would be following your future articles as well. Just read your post, very good and quite informative for a person just starting out with internt marketing. well done think i will hang around and read a few of your other post.